SpaceX on Thursday prepared to launch its new Falcon 9 Block 5 rocket, which the California-based company promises to be more powerful and easier to re-use. "Now targeting liftoff at 5:47 pm (2147 GMT)," SpaceX said on Twitter of the rocket, which went vertical earlier in the day at a NASA launchpad at Cape Canaveral, Florida. "Vehicle and payload continue to look good for today's first flight of Falcon 9 Block 5." The rocket's main goal for its maiden mission is to propel the first high-orbit communications satellite for Bangladesh, called Bangabandhu Satellite-1. Eventually, the rocket will launch humans to the International Space Station, aboard SpaceX's Dragon crew capsule, still under development. The first crew launch is tentatively planned for December 2018. It will mark the first time since the end of the US space shuttle program in 2011 that a rocket has launched from the United States carrying people to space. 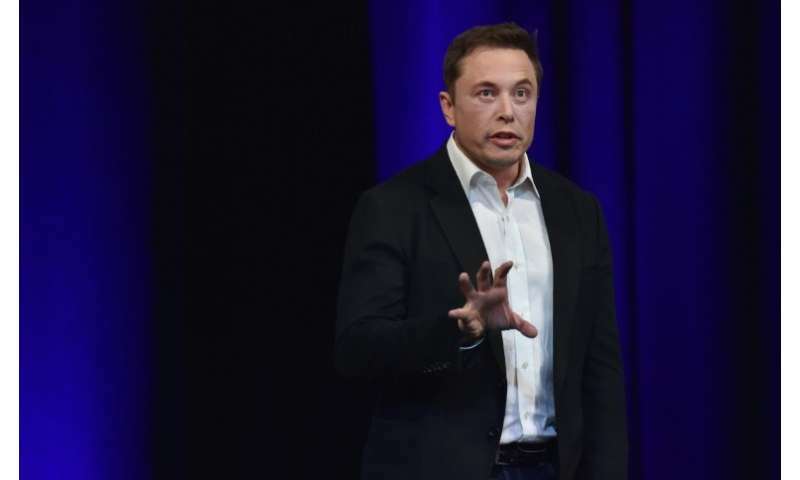 The rocket is built to re-fly up to 10 times with minimal refurbishment, SpaceX CEO Elon Musk told reporters ahead of the launch. "We expect there would be literally no action taken between flights, so just like aircraft," Musk said. "It has taken us—man, it's been since 2002—16 years of extreme effort and many, many iterations, and thousands of small but important changes to get to where we think this is even possible," he added. The Block 5 rocket is the final upgrade for SpaceX's Falcon 9 fleet. Next, the company plans to focus on its next-generation heavy-lift rocket, called BFR. Thursday's launch will be the ninth this year for SpaceX. After liftoff, the rocket will attempt to return to an upright landing on the "Of Course I Still Love You" droneship stationed in the Atlantic Ocean. So far, SpaceX has landed 11 of its boosters in land and 13 on its droneships, which are floating platforms in the ocean, as part of its effort to bring down the cost of spaceflight and re-use costly rocket parts. Wonder how big the Big F*&^%^g Rocket will be. Like it to be used to hoist sections of the new interplanetary system ship "CVS-1 UNBC Enterprise to be assembled at the new Space Dock Earth, EarthFleet Vice Admiral Chesty Nimitz, commanding and Rear Admiral Sergei Korelov III Executie offficer. Hey, if you dream, dream big, but by that time, Jeri Ryan will probably be too old to wear her cat suit even if she still lives then..